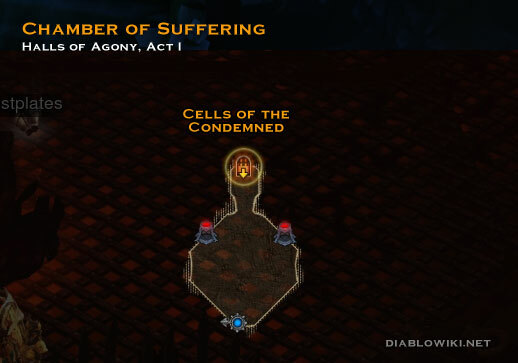 The Chamber of Suffering is nearly the lowest dungeon of the Halls of Agony and is the site of the final showdown of Act I where you face the infamous Butcher. It's a very small level but the floor is made up entirely of grates which periodically release fire. This page was last edited on 29 January 2013, at 00:36.